This week saw the publication of the latest issue of the internet-based journal Sociological Research Online. 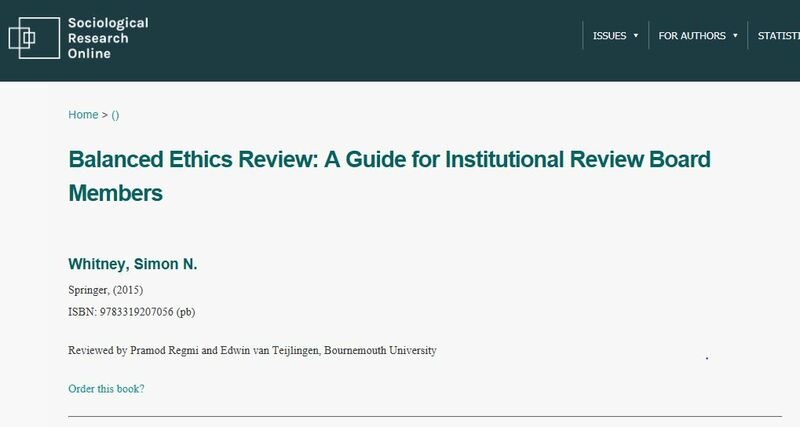 In this issue Dr. Pramod Regmi and Prof. Edwin van Teijlingen published a book review of Balanced Ethics Review: A Guide for Institutional Review Board Members written by the American academic Simon Whitney. In doing so they continue the tradition of FHSS scholars contributing to the research ethics debate. 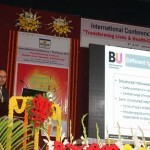 For example, Regmi and colleagues recently had a paper accepted on their insights into research in low-income countries in the journal Developing World Bioethics. Whilst a 2012 FHSS-led paper stressed that researchers conducting research in low-income countries need to apply for research ethics approval to the relevant local authority, if national legislation requires one to do so. Two further publications by Prof. Ashencaen Crabtree have added to the pool of FHSS publication on research ethics. 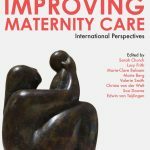 [9-10] The first one, a book, addressed the problematic issue of gate-keepers in research together with the ethics of critical observation of abuse (potential or actual), as well as the ethics of advocating on behalf of research participants. The second paper covered issues around working with research participants who are regarded as ‘vulnerable’ in a study into the context of care and patient/service user experiences. Whilst Prof. Parker has highlighted the benefits and dangers of using email and the Internet for social and health research. An even newer research approach is the use of discussion boards as sources of data, which brings its own ethical dilemmas. Prof. Hundley and colleagues discussed the ethical challenges involved in conducting a cluster randomised controlled trial, where getting informed consent can be complication. Whilst it is worth reminding researchers that in issues of informed consent during pregnancy and childbirth one has to consider the potential for harm to two participants. Regmi, PR., Aryal, N., Kurmi, O., Pant, PR., van Teijlingen, E., Wasti, P.P. (forthcoming Informed consent in health research: challenges and barriers in low-and middle-income countries with specific reference to Nepal, Developing World Bioethics. 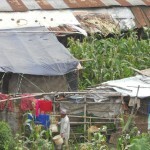 van Teijlingen E.R., Simkhada, P.P. (2012) Ethical approval in developing countries is not optional, Journal of Medical Ethics 38:428-430. Parker, J. (2008) Email, ethics and data collection in social work research: some reflections from a research project, Evidence & Policy: A Journal of Research, Debate & Practice, 4(1): 75-83. Parker, J., Penhale, B., Stanley, D., (2010). Problem or safeguard? Research ethics review in social care research and the Mental Capacity Act 2005. Social Care & Neurodisability, 1(2): 22-32.